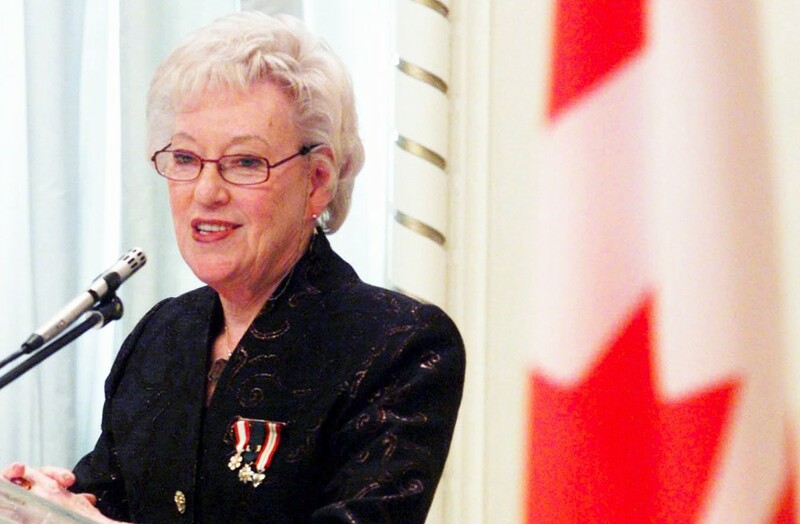 Ottawa, Monday, July 27, 2015 – The International Civil Liberties Monitoring Group (ICLMG) and all its members organizations are saddened by the passing of the longtime Canadian politician and Order of Canada recipient. The Honourable Flora MacDonald was one of ICLMG’s “friend” and strong supporter. We convey our deepest sympathies to her family and friends. “Flora MacDonald, with her great experience in diplomacy and politics, supported the work of ICLMG since the beginning. Her wisdom and her sense of justice made her a strong and important voice in our organization” says Roch Tassé, former National coordinator, who participated with Flora MacDonald in several events organized by ICLMG. “Canada has lost one of its dedicated politicians and humanitarians. Flora MacDonald worked tirelessly on issues of foreign affairs, women’s rights and education. She will be missed,” declares the Honourable Warren Allmand a “friend” of ICLMG and former Solicitor General of Canada. This entry was posted in News from ICLMG on 27 July 2015 by ICLMG CSILC.